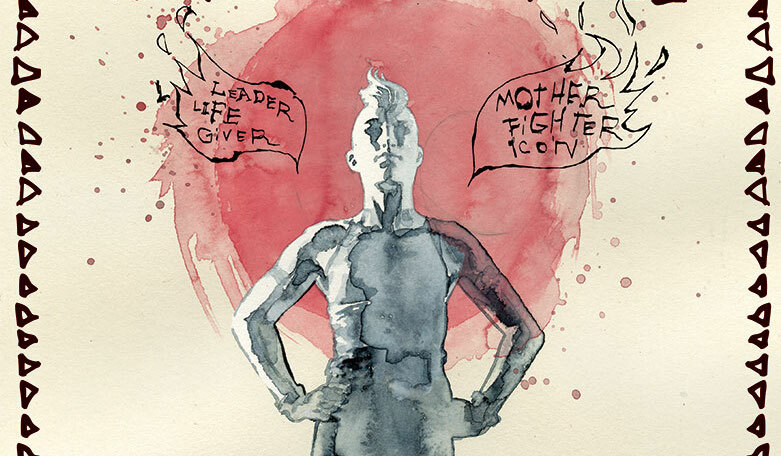 Otherworldly & familiar: Fred Van Lente discusses new Valiant series 'War Mother' – AiPT! This August, Valiant Entertainment will unleash miniseries War Mother at comic shops following last year’s hit one-shot. Written by Fred Van Lente with art by Stephen Segovia, the series explores new mythology in the 4001 A.D. corner of Valiant with an incredibly original sci-fi/tribal warfare story. We had the opportunity to ask Fred a few questions about the series, what made him fall in love with comics, and more! AiPT! : Thank you for taking the time, Fred! OK, you have 30 seconds, you’re in an elevator with the movie director who will be filming your screenplay to War Mother. Who is the director and what is your 15-second pitch!? Fred Van Lente: I’d want to see Patty Jenkins taking some of that Wonder Woman action and turning it post-apocalyptic: A woman symbiotically fused with a sentient sniper rifle is her tribe’s sole protector in a harsh far future jungle built on the ruins of our society. Monsters! Killer robots! Mysteries! Questionable parenting choices! This one has got it all, Pat. Can I call you Pat? AiPT! : Is there something freeing about writing a series set 2,000 years into the future? And possibly something that makes it difficult? FVL: It becomes a challenge sometimes to make things very alien and separate enough from our world, so people get the gulf of time we’re talking about here. Ana’s (the “War Mother” of the title) time is as distant from ours as the early days of the Roman Empire is in the opposite direction. Our era is like a bad game of “Telephone,” where the reality of our lives has been distorted over centuries of interpretation and misinterpretation. The trick is to make the whole thing feel both otherworldly and familiar at the same time, and I’d like to think we’ve done a pretty good job. FVL: That’s a good question. Reading them pretty much taught me how to read when I was like four or so. I got the bug earlier than the reach of my own memories. Did I become the stereotypical nerd because of my love of comics, or did I love comics because I was destined to be a stereotypical nerd? It’s a real chicken/egg question. AiPT! : The original War Mother one-shot had some fantastic science fiction ideas that felt fresh, like the talking sniper weapon and the maternity robot who Ana blows away. Will there be any cool sci-fi elements like this in the new miniseries and can you spoil/tease any of them? FVL: Yes to the first part of the question and no to the second one, I don’t want to give too much away. I can tell you the basic premise of this series, which is as a result of the events of the 4001 A.D. event, the home of Ana’s people, the Grove, is dying, and Ana and Flaco (the oft-mentioned sentient sniper rifle) have to venture out into the jungle to find their clan a new home. They do so, and it seems perfect … maybe even too perfect. And here’s where the horror begins, and pretty soon Ana is fighting for her life, her tribe’s, and even Flaco’s. AiPT! : How much world-building goes into a series like this? And a follow-up, how much have you fleshed out that we will never see? FVL: When I was a lot younger I did a lot of world-building for world-building’s sake, like a Dungeon Master creating an adventure for his players to go through — they don’t necessarily exhaust the whole module. (See? Total nerd.) But when you’re a writer-writer, you have to keep in mind that what readers care about, primarily, are characters. So the world-building is secondary to their emotional arc and struggles. Not that there isn’t world-building beyond the edges of her experience — that’s what makes it seem real — but if I’ve fleshed it out, it means I intend for you to see it at some point. AiPT! : I might be wrong, but I got a social issue vibe from the Grove not wanting the children to enter that reminded me of the immigration issues in America and the world. Are there any social issues you might touch upon in the new series? Hm, no, I think you’re just gonna have to read the book to find out. FVL: I like interacting with artists, that’s what got me into it in the first place. Although, when you and an artist just don’t see eye to eye, you’re just not syncing up, that’s the worst. Hard to make the comic work if your relationship doesn’t. AiPT! : We here at AiPT! really love your History of Comics series, and we were curious if we can expect more issues in the future. Also, have you always been a comics historian, or did you have to do a lot of research for that series? FVL:: Thanks! Yes, IDW is coming out with a trade of the first color series, Birth of a Medium, in August, and a Season 2 (I don’t even know if we’re calling it that) should be starting at the end of the year, tentatively entitled Comics For All. I don’t know if I’ve “always” been a comics historian — do you mean like, since the womb? — but the B&W series started a decade ago, so I feel like I can safely put it on my resume … You always have to do research, though, no matter how experienced you are.